“You can’t beat it with a stick!” (A colloquial phrase that means, “It’s the greatest thing since sliced bread.”) OK, what I mean is there’s nothing better than combining a concentrated, one-day regional converting show with a venue like the home of the four-time Super Bowl champion Green Bay Packers. 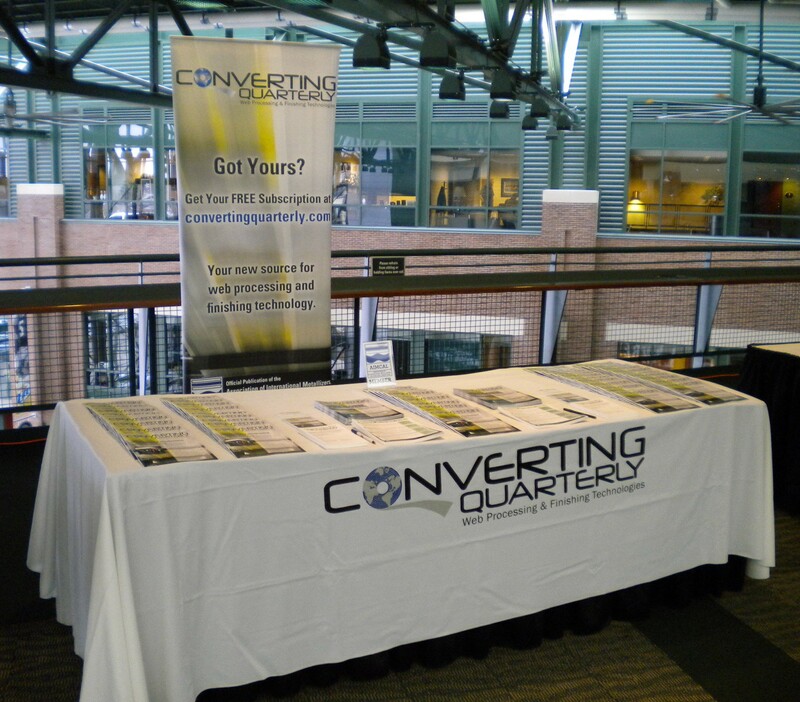 It’s was the fourth time out for the Converters Expo at Lambeau Field Atrium. 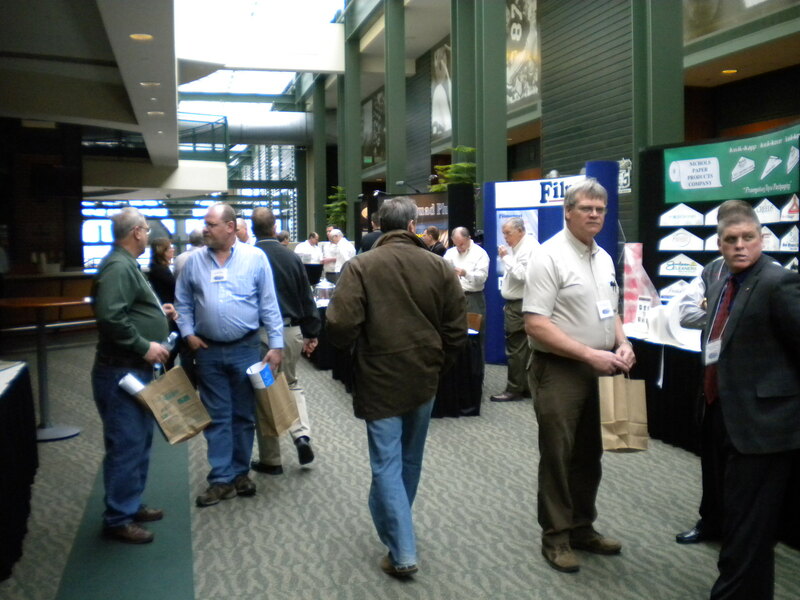 With nearly 600 industry professionals on hand, attendance was up about 15 percent over last year. 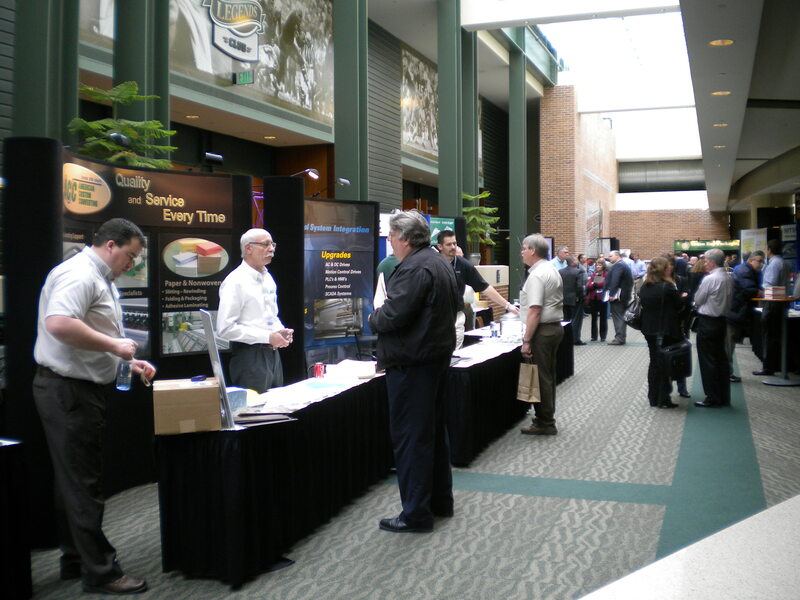 Among the 100 exhibitors: Suppliers of all things converting from machinery and materials to components and consumables, as well as a good representation of product converters themselves from America’s Converting Corridor. 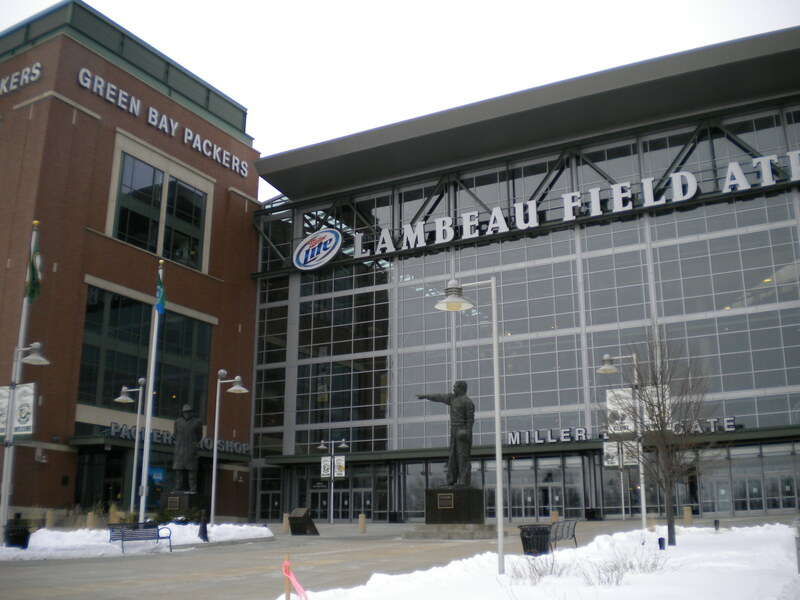 The entrance to Lambeau Field Atrium (home of Converters Expo 2011) sports statues in honor of Vince Lombardi (left) and Curly Lambeau (right). Yes, there are still 6 in. of snow on the ground. This IS the Frozen Tundra, remember? American Custom Converting was one of about 60 exhibitors in the open Atrium area of the show. Filmquest and Nichols Paper Co. were two of many substrate providers on hand. 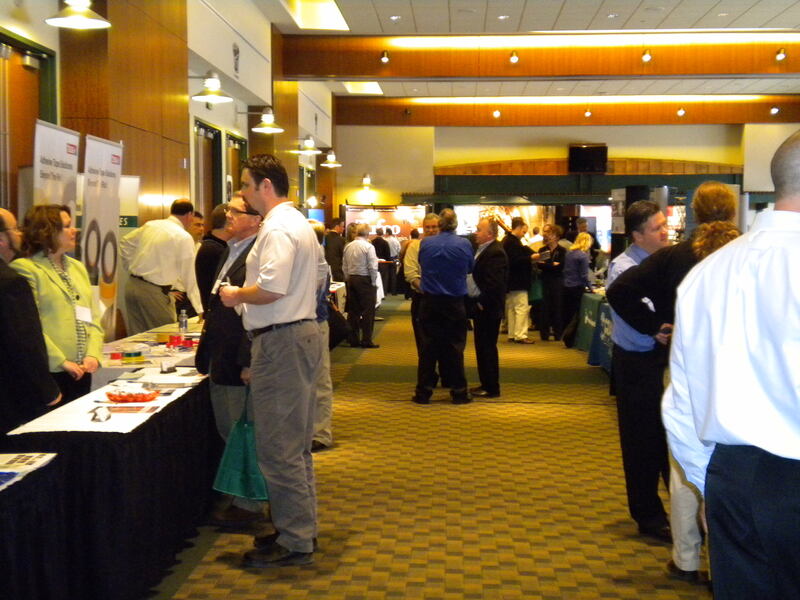 About 40 exhibitors were located in the Main Hall of the Lambeau Atrium. 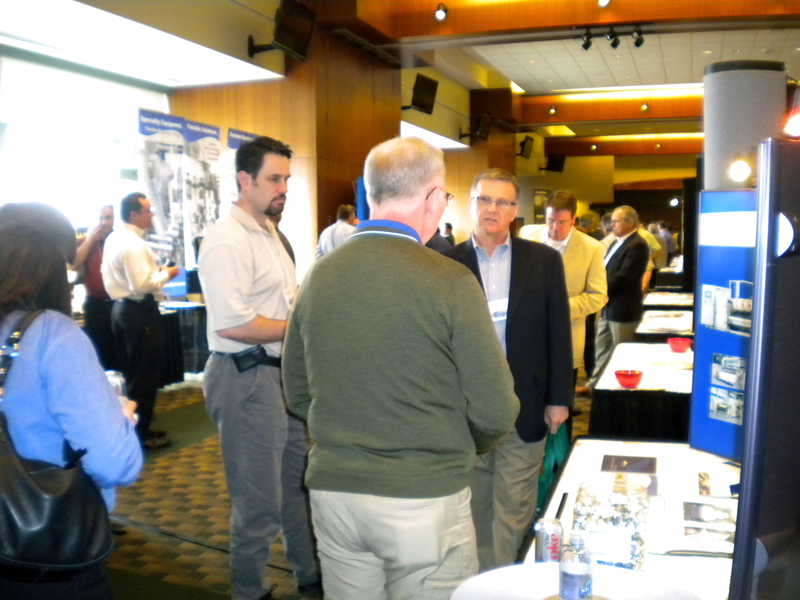 Converters converse with representatives at the Catbridge Machinery booth. Shameless plug: Here's a shot of the Converting Quarterly booth. This entry was posted in coating/laminating, digital printing, flexible packaging, labels, package printing, paper/paperboard/cartons, printed electronics, slitting/rewinding, sustainability and tagged converting, packaging, printing. Bookmark the permalink. Mark – great photos – looks like a winner!